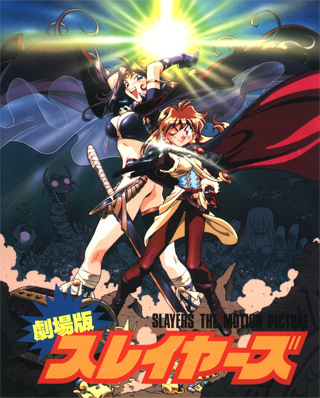 Slayers Revolution and Evolution-R brings the spirit and humor of the Slayers universe back after a long hiatus for the well renowned anime series. The anime returns not having lost a step in its ten year hiatus and returns to give fans the good time that they have come to expect of a show of its caliber. Gorry Gabriev, Zelgadis Greywords, and Amelia Wil Tesla Seyruun all return in support of Lina Inverse who is being arrested for the crime of well... being Lina Inverse. A new character by the name of Inspector Wiser leads the case against her and soon the group learns that another new character named Pokota, a living small stuffed animal with large ears and incredible magic ability is behind the framing of Lina Inverse. As the story moves along Lina Inverse and Company learn that Pokata's true motive is to restore his virus stricken village to a time of peace that it once cherished and to do so they must call on an old and powerful villain, The Red Priest. 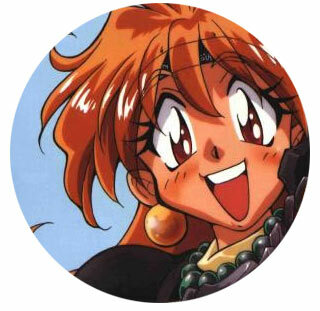 For those who thought ten plus years would somehow change the rambunctious Lina Inverse and Company, you were sadly mistaken. Not only does Lina Inverse and Company return with their fiery spirits and over the top shenanigans but almost every part of what made the show the success it was, returns with all the marvels of today's technology. A great majority of the voice acting cast returns in their original roles and they do so with more vibrant artwork, stunning colors and many of the updated features that most anime series enjoy today. 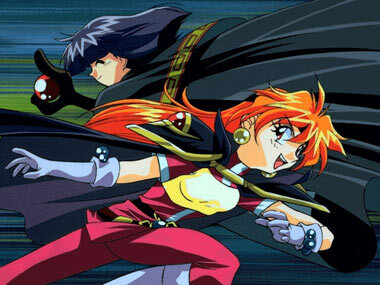 All in all Slayers returns to its prime and adds a few new things to an already successful format. Fans of the series will be pleased with the old sights and sounds of Slayers Revolution and Evolution-R while being excited with the prospect of meeting new characters in a world that is more visually stunning than ever before. 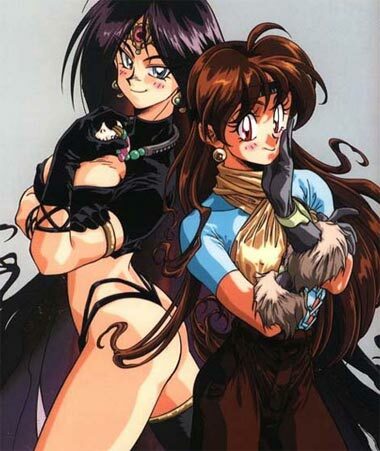 Sorceress Lina Inverse, the main character, is an egotistical, bad-tempered, rash, greedy, loud-mouthed, liar who cheats, steals, beats up her own friends, and is just about un-like-able in every way, and she's the hero of the story! This should give you an idea of just how bad the bad guys have to be in this type of setting. Naturally, this makes for some pretty interesting action and humor. Now that we think about it, we *can* understand the hub-bub about Slayers — it's good stuff!